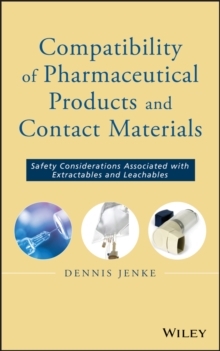 This book specifically addresses the safety aspects of compatibility for drugs and their delivery devices and containers. The author deals with issues such as how the leachables impact safety of a therapeutic product and, more importantly, how one ascertains the magnitude of the impact. The book examines the strategies and tactics for performing safety assessments for leachables and extractables and establishes the means for interpreting the results obtained from such assessments. It helps the pharmaceutical industry unify methodology for assessing leachables and extractables safety of drug packaging.